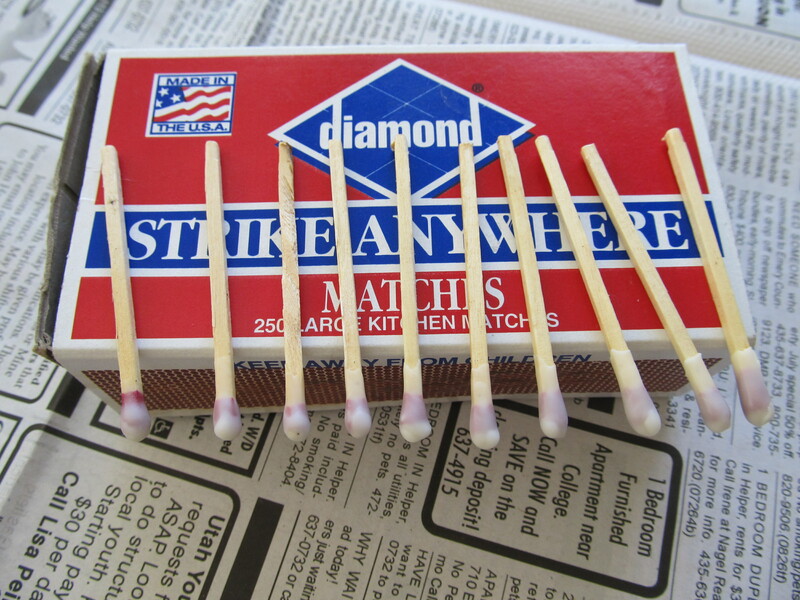 Regular matches that get wet turn into little wet sticks that do nothing in no time flat. 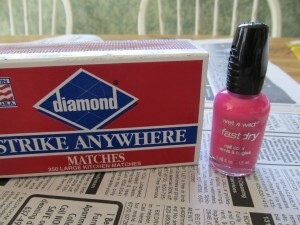 To avoid having your matches become useless due to moisture, you’ll want some waterproof matches. You can purchase waterproof matches, or if you want to save a few bucks you can waterproof your own matches. 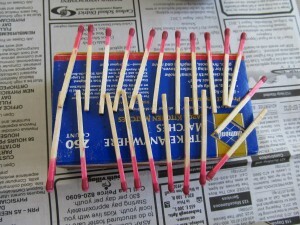 There are a couple of ways to waterproof matches that are really easy and work very well. 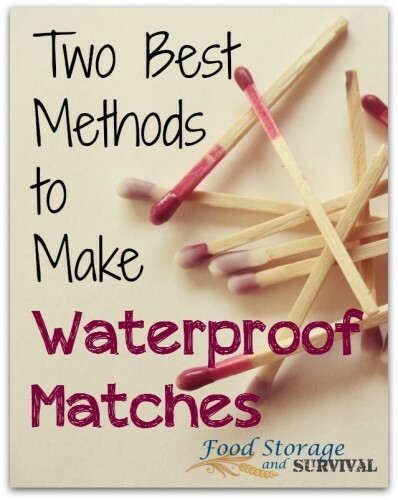 This post will cover two different methods of waterproofing your own matches. And the best part is that you probably already have the supplies to do them both! Step 1: Melt your wax. If you have a candle, let it burn for a bit to melt a pool of wax around the wick. Candles in jars work really well for this since none of the melted wax escapes as the candle burns and you can get quite a nice pool of wax for dipping. If you have wax from bits of old candles or from a block of paraffin wax, you can melt it in a double boiler setup. Wax doesn’t wash out of pans well, so just use an empty clean veggie can or soup can to melt your wax in instead of your favorite pot. Put the wax chunks in the can and the can in a pot of water, then heat the water pot over the stove until the wax melts. 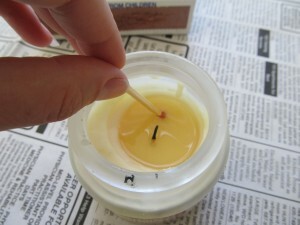 Step 2: Dip your matches in the melted wax and let them cool. 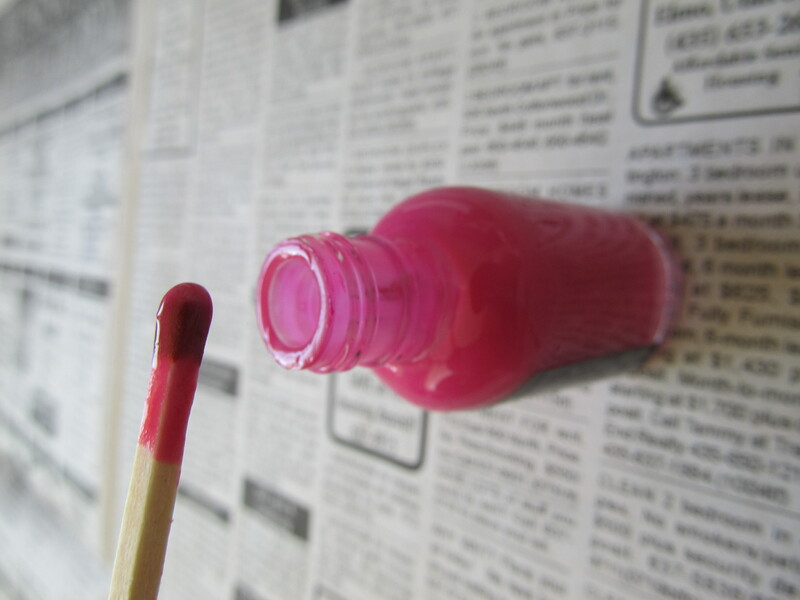 You’ll want to do this over some newspaper or something to catch any drips. You want the wax to extend past the head of the match, so you may need to tip your candle to get a deep enough pool to dip in. If you want to be extra safe, blow the candle out first. You may need to re-light it occasionally to keep the wax nice and hot. Set the matches with their heads hanging over the edge of a box or the table or something similar so the wax can cool and harden. That’s it. They cool pretty quickly, and they are then waterproof. To use these, I’ve found I need to scrape the wax off with my fingernail before lighting them. Excess wax on the match head makes a mess of your striking surface and can smother your baby match flame as it melts. These matches also don’t hold up too well to jostling–the wax can flake off if the match heads are rubbing on each other or something else. *Fingernail polish–clear is good, but colored also works. Quick drying varieties will dry quicker on your matches. Avoid colors with glitter in them–they still work, but the glitter can cause some sparking as it burns or interfere with the match striking surface. 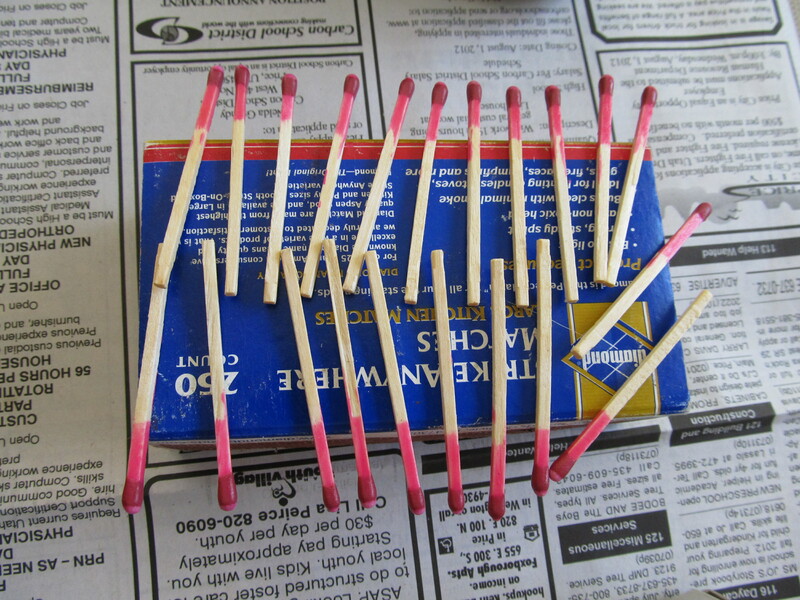 Step 2: Let the matches dry. Set the matches so their heads hang over the edge of something just like we did with the waxed matches and let them dry. These take a bit longer to dry than the waxed matches, so be patient. Especially if they were dipped instead of brushed. 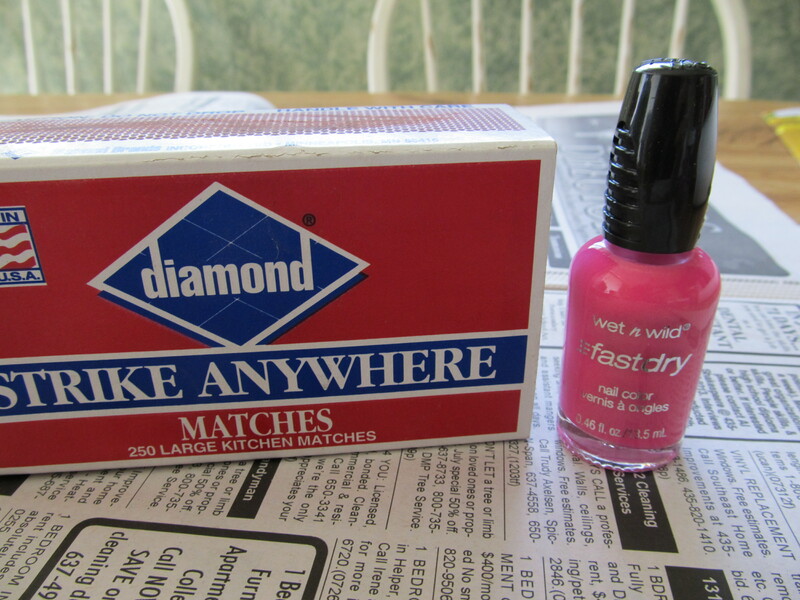 Quick drying nail polishes speed up the waiting time. That’s all there is to it. The nail polish matches do not need any special treatment before you can strike them and stand up to a good amount of wear and tear as well. With either of these methods, you can protect the matches even further by keeping them in some type of waterproof container. You’ll also need to keep a striking surface handy and if you have the strike on the box type you’ll need to keep the surface from the box and keep it from getting wet as well. And of course, you want to do your waterproofing before you’re caught in the rainstorm in the mountains not during it. Learning to waterproof matches is another requirement in the LDS Girls Camp manual. Find more by clicking the Girls Camp Requirements category. I did the wax waterproofing with wax. Yes, scraping the wax off the head is necessary. 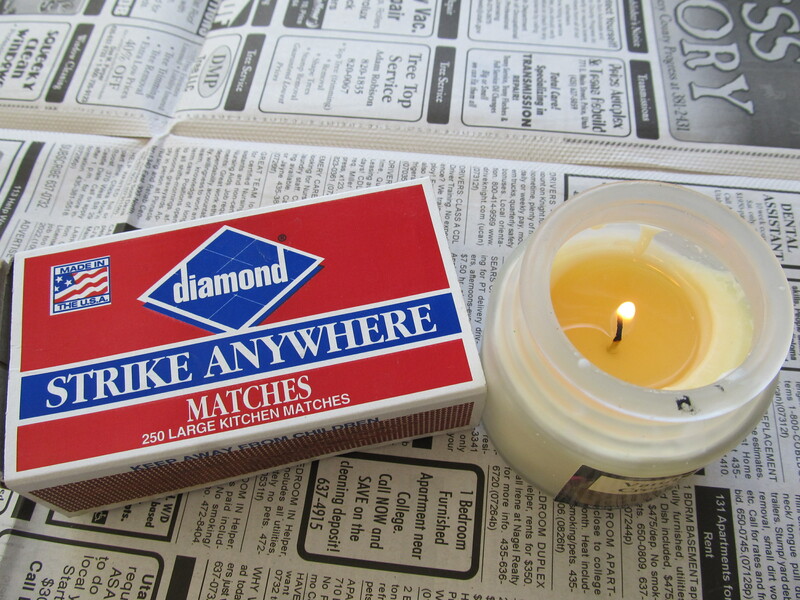 Strike Anywhere matches are hard to find here. I found two tiny boxes and purchased those. 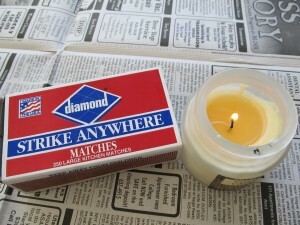 Don’t know where you live, but I found Strike Anywhere matches at every Ace Hardware store I looked at. Good luck! I don’t think this will have the desired effect. 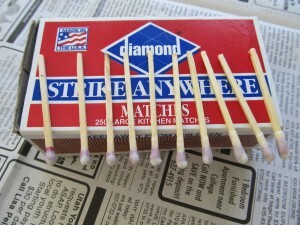 I believe moisture will wick from the unprotected wood into the protected wood and ruin the match from the inside out. The entire match (not just the tip) must be waterproofed in order for it to remain viable after getting wet. I always found the turpentine method to be the best. 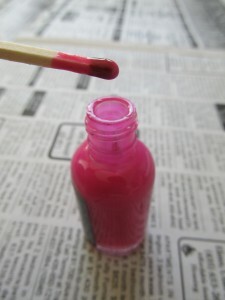 It is said to keep flammable stuff like nail polish away from fire … If nail polish is applied on matchstick and then lit up, would it cause some big time sparks or something? Just wondering. It burns, but the only sparking comes from any glitter in the polish. Plain colors work best.